Chances are that nearly every home owner has a visible concrete surface exposed to the elements. Concrete is a versatile, fordable building material that is well suited for today’s construction needs. Many don’t realize that some form of concrete has been around for thousands of years. The first concrete like structures were built in Northern Syria around 6000BC. Middle Eastern builders discovered around 1300BC that coating the exterior of their clay covered fortress and home walls with a thin layer of burned limestone, reacted with the gases in the air to produce a hard exterior shell. While this was not today’s concrete, it was the base for which this material has developed. As material costs rise and every homeowner is looking to maximize their investment, concrete surfaces need to be maintained to add to the curb appeal of any property. Concrete driveways will perform well whether they are protected or not, but once they begin to deteriorate, there is little the homeowner can do to stop it. Concrete will not last forever. What does except for your tax liability? But these porous surfaces can be protected and enhanced through proper maintenance by keeping them clean, limiting UV exposure and eliminating moisture penetration. In cold climates, the constant freeze/thaw cycles stresses any surface but moisture laden concrete is particularly susceptible to cracking, flaking and spalling. In the warmer climates, sealed concrete can inhibit the effects of strong UV light that oxidizes the surface causing erosion and top coat flaking. Sealed concrete will resist mold and mildew growth and inhibit oil and rust stains. Decorative concrete drives, pool decks and walkways will need sealing as well. Colors hold fast and depending on the sealer, can have that “wet” look or a clear, non-visible layer of protection. Sealers come with many shade and gloss options so individual homeowners can find the product that best fits their taste. How about some style in your concrete? You have seen more and more color in concrete surfaces almost everywhere you go. There are several products that can stain the surface just about any color and a professional applicator can create texture and design. Once completed, a breathable moisture blocking sealer is applied to create a long lasting attractive entrance to any home. 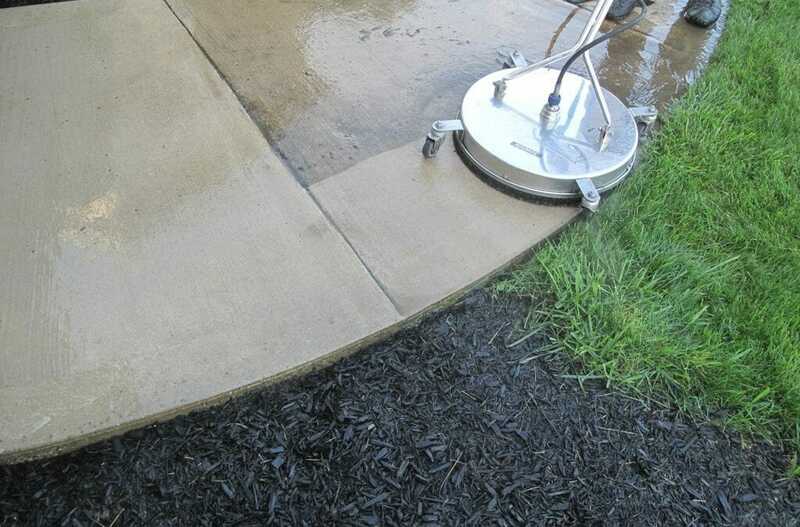 Many professional pressure washing contractors are well trained in surface preparation and sealing using high quality commercial grade stains and sealants specifically designed for each application and climate restriction. 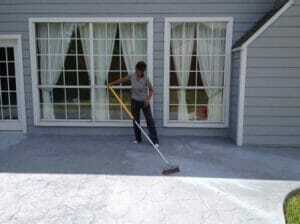 Not just any pressure washer will do and painters have better ways to spend their time. Check around to be sure that the prep work is done right and the contractor stands behind their cleaning and application process. In short, caring for your home’s concrete is an important part of any property owner’s responsibility and the simple use of a penetrating sealer, properly and professionally applied and regularly maintained can and will prolong the life of your concrete surfaces and add value to your investment. Make the places you love to be and the gateway to your home last and look good for your lifetime and beyond. Contact Sparkle Wash today for a free estimate to clean and seal your concrete driveway, patio, sidewalks, pool area and garage floor! Most of the homeowners preferred to use concrete materials just because of its flexibility and durability. As every home owners spends a lot of money on concrete materials so it is necessary to take care o buildings exteriors, for this purpose you can always hire professional power washer.